If you think your small brand can’t compete with the big box stores, it’s time for a reality check. Consumers gleefully buy from businesses of every size. Even the smallest brands can gain a dedicated, cult-like following. To do so, you need more than just an amazing product and incredible customer service. You must tap into the consumer’s mind, encouraging him or her to buy. These five powerful psychological pricing strategies do precisely that, encouraging consumers to take a leap of faith and give your product a try. If you and your competitor offer a similar product, the business will go to the brand with the cheapest price, right? Think again. Research shows that comparison shopping isn’t as cut and dry as retailers might think. Directly comparing yourself to your competitors could have unintended consequences. Indeed, consumers may actually believe that the lower-priced brand is of lower quality. Instead, focus on comparative value. If you need to price your items higher than your competitors do, be upfront about it. Using words like “value” can ease your customers into the higher price, and even convince them that your higher priced products are worth it. If you offer a guarantee, better customer service, or some other value, don’t forget to note this on your social media and in your marketing materials. Banana Republic, for example, initially had trouble competing. But when the brand raised its prices and focused on value, they actually sold more. Some people hate buying things. Whether it’s decision fatigue, the pain of spending money, or simply the stress of the whole purchasing process, shopping isn’t pleasurable for everyone. This Psychological Pricing Strategy is called Bundle pricing. It makes buying a little less painful by bundling similar items together. It also has a powerful psychological effect. Bundle pricing convinces consumers they’re getting a bargain — even if they wouldn’t otherwise buy the additional items, and occasionally even when the bundled items are more expensive than purchasing the items separately. Brands such as McDonald’s capitalize on this strategy with combination meals that encourage people to spend more on a product they might not otherwise buy. Create the perception of value and savings with bundled pricing and watch the business fly in. Even compulsive shoppers don’t like spending money, and for the penny-pinchers among us, it can be downright painful. 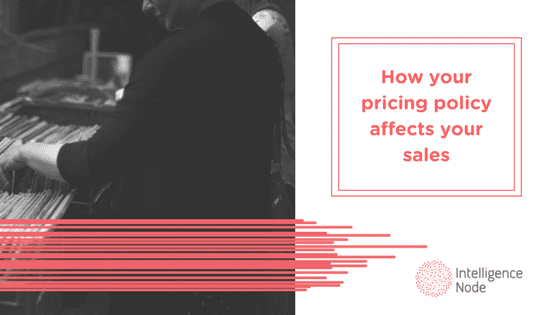 Conditional pricing takes the bite out of your price tag. You’ve probably noticed that lots of price tags end in .99. Maybe you thought it was just a gimmick — a throwback to a simpler era when people didn’t notice that the extra penny didn’t really make a difference. Think again. This practice, called conditional pricing, is one of the best ways to get price-conscious consumers to buy your products. Conditional pricing, research has shown, is most effective in two situations: 1) when presenting consumers with a new item; 2) when consumers have limited information about your product. Use this to your advantage by adopting this strategy with your newest products, and with products that haven’t yet caught on with customers. Human beings have a profound desire to belong. That desire can spill over into our approach to purchases. When a product might not be available tomorrow, buying it can feel like an emergency. After all, the thinking goes, if this product is in demand, don’t I want in on the action? Using flash sales: Put items on sale for a limited period of time and watch customers flock to your product. Targeting a limited group of customers — those who spend the most, those who post on Facebook, or some other small group — with a brief sale. Offering a specific price point to the first 10, 100, or 1,000 customers to review your business, post on your Facebook wall, or answer a simple question. Buy one, get one free features (BOGO) are a variation of bundled pricing. Customers feel like they’re getting something for nothing, giving them the final push they need to commit to a sale. Get even more from BOGO by offering more giveaways with more purchases. Bath and Body Works does this to great effect with its famed “buy two, get one, buy three, get two” sales.